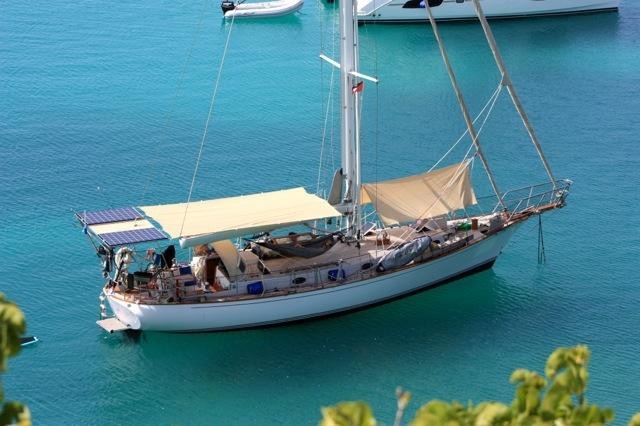 Sharyn-Leigh is a Shearwater 45′ designed by Dudley Dix and build by Acheson Rossa Custom Yachts of South Africa. The Shearwater 45 combines classic looks with modern underwater profile. A fantastic finish quality above and below deck make this outstanding yacht an ageless classic that will retain her great looks for all time.